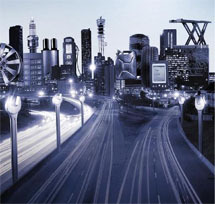 " automechanika 2011 Shanghai" ends with success ! We are pleased to inform you that the auto maintenance show “automechanika 2011 Shanghai” that took place from December 7th to 9th 2011, was closed with very good result. We feel honored that so many people, not only from China mainland but also from abroad, came all the way to visit our booth. 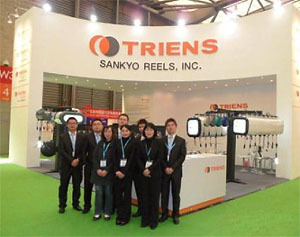 We TRIENS Sankyo Reels, would like to express again our thankfulness to all our customers. Thank you very much. It seems that the show itself is becoming more and more known in the world, and the entrance data indicates that the numbers of visitors from abroad is increasing year by year. We noticed that this year visitors from India occupied large proportion of the entry. The India is actually developing rapidly and the world is expecting its high growth just like China. These growing countries are very new market for us. We think we should try to develop new products that could be useful and valuable to customers in these growing countries. If you have comments on the exhibition or suggestion on our products, please feel free to contact from the below contact information. We are looking forward to having many voices from you.